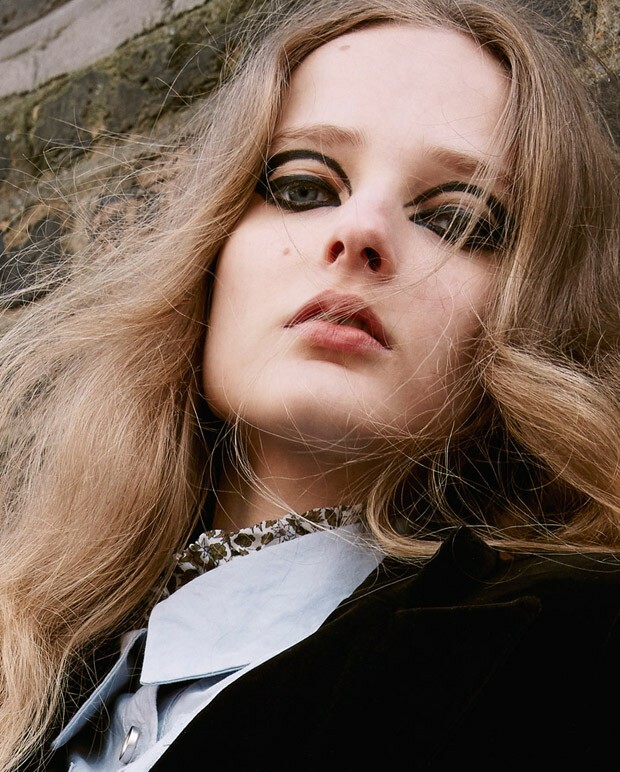 Dazed & Confused unveils a cast of modelling's most adorable misfits in an editorial lensed by Yelena Yemchuk for its Spring/Summer 2015 issue. Rising stars Astrid Holler, Ally Ertel, Phillipa Hemphrey, Ala Sekula, and Klaudia Chajduga run amuck on what could well pass as the grounds of a school yard. Fashion editor Katie Shillingford captures the whimsical mood of 'Artful Dogers' decking out the cast in an eclectic mishmash of white cotton boxers, skirts, button down shirts, and full length peasant dresses, black winter overcoats, cravats, tuxedo suits, and balaclavas. 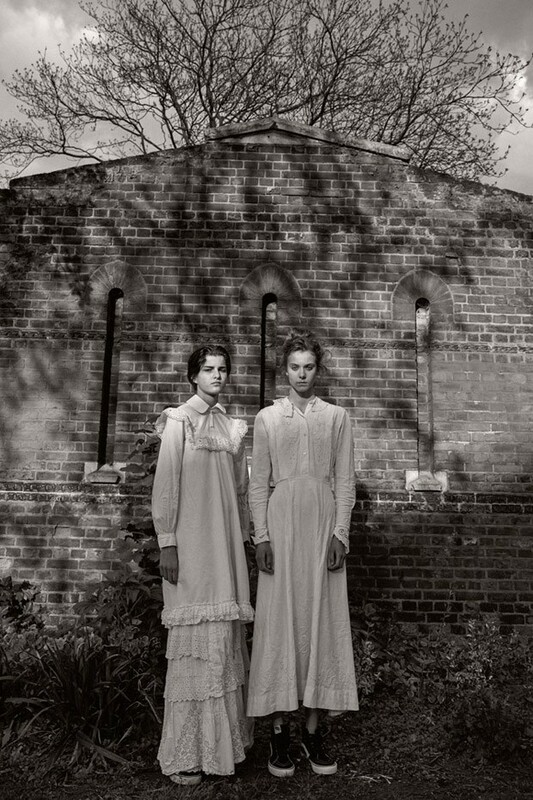 Yemchuk makes the most of the diverse beauty of her protagonists honing in on Holler's moody furrowed brow, Ertel's obstinate look of defiance, and Hemphrey's spectacular gangly limbs and glacial stare. 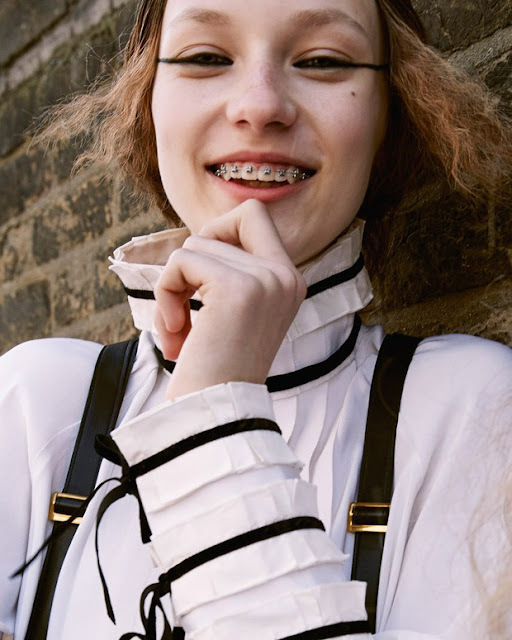 Bringing an element of surprise and playfulness to proceedings are newcomers Chajduga and Sekula whose fresh faced beauty and irresistible grins help lighten the mood. 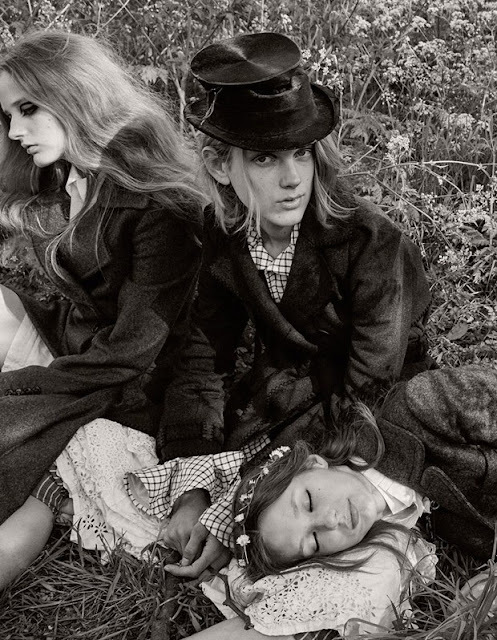 IMA expects to see a lot more of this motley crew of beauties in the months ahead with Ertel already scoring a coveted spot in Celine's Fall/Winter 2015 campaign, Holler turning heads in editorials for W, Document Journal, and Modern Weekly, and Hemphrey crossing the Atlantic for high profile bookings in New York. 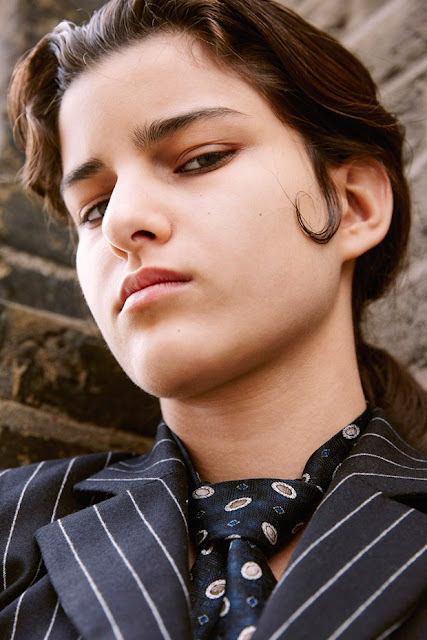 Sekula's super selective Fall/Winter 2015 bookings for Prada and Miu Miu are only a hint of things to come while Chajduga's left of field debut booking for Dazed will surely pique the interest of casting directors and designer in search of untapped talent.